It is profoundly depressing to hear pundits and politicians talking about the prospects for economic growth with no reference to either equity or environmental constraints. 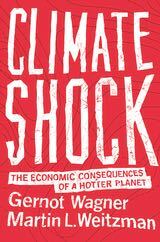 In the case of New Zealand a “rock star” economy can apparently develop accompanied by dismaying levels of child poverty, excited expectations of new oil and gas discoveries which spell disaster for the climate, and a burgeoning dairy industry paying scant attention to the environmental consequences of its rapid growth. Fortunately there are more discerning economists on the world stage for whom economic growth is only welcome when it means an end to poverty and when it fully respects strict environmental limits. Jeffrey Sachs, Director of the Earth Institute at Columbia University, is an outstanding example. 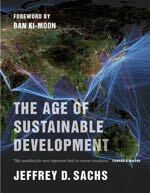 His latest book The Age of Sustainable Development is heavily focused on the ending of poverty in parts of the world where it remains endemic and is relentless in its recognition of the severe environmental strains that economic development and soaring population growth are placing on the earth systems on which human life depends. The book was developed as part of a global open online course of the same name offered by the Earth Institute and already taken, Sachs reports, by tens of thousands of students around the world. Late last week, New Zealand’s far right ACT party was pleased to let the media know that its leader, Jamie Whyte, had won the “prestigious Institute of Economic Affairs’ Seldon1 Award” — an award given to IEA fellows by the IEA for work published by the IEA. Whyte is an IEA fellow, which may (or may not) be prestigious in itself — the IEA is the grandaddy of British free-market “think tanks” — but the award appears to be little more than a bit of mutual backslapping. Whyte won for a paper published last year entitled Quack Policy – Abusing Science in the Cause of Paternalism (pdf), in which he sets out to show that “much ‘evidence-based policy’ is grounded on poor scientific reasoning and even worse economics”. Unfortunately, in his discussion of climate science in the paper, he shows an incredibly poor understanding of what the science actually says, and an even worse appreciation of its implications for humanity. This is the five minute condensed version of the talk I gave in Gore at the Coal Action Network Aotearoa Summerfest (a somewhat optimistic title, given the chilly and wet weather last weekend). It’s too late to avoid damaging climate change, because it’s already happening. Weather extremes — floods, droughts, heatwaves, wildfires, and storms — are on the increase, dramatic melting of Arctic sea ice is affecting northern hemisphere weather patterns, and accelerating ice loss in Greenland and Antarctica points towards a rapid increase in sea level. And the climate commitment, the 30 years it will take the planet to get back into energy balance once atmospheric CO2 is stabilised, guarantees that we will see much worse long before we see any benefit from action we take today. Everything we do now to cut emissions will help us to avoid the very worst impacts — the almost unimaginable stuff that will be happening by the middle of this century — so it’s really worth doing. To avoid future damage being catastrophic, we need emissions cuts to be made as if this were wartime. The global economy has to be switched from fossil fuel burning to clean energy as fast as possible — as if our very civilisation depended on it, because it does. Every year of delay now is a year more in the 2040s and 2050s of the very worst the climate system will throw at us. Every year of delay will make the job harder. We need to go beyond stabilising atmospheric CO2 levels, and remove much of carbon emitted since the industrial revolution if we are to avoid losing much of the low lying land to long term sea level rise. We need to be working now to futureproof New Zealand (and everywhere else) as much as possible. We must not lock our economies into high emissions pathways by investing in fossil fuel extraction or emissions-intensive agriculture. We must put in place policies to deal with sea level rise as it happens, but they will have to focus on managed retreat — at least until atmospheric CO2 is on a downwards trend. We need to focus on developing economic and social resilience, to enable us to recover from the inevitable shocks caused by rapid climate change. This has to be the reality that our governments confront. Getting them to face up to the full seriousness of climate change is not going to be easy, but it’s going to have to be done. I often find that preparing a talk crystallises my thinking around an issue, and that was certainly the case here. Reviewing the climate events of the last year, looking forward to the near future, and considering our options as climate change begins to really bite left me feeling rather gloomy — but the energy and enthusiasm of the CANA crowd, committed to preventing lignite mining in Southland and to phasing out coal mining throughout New Zealand, did a lot to put a smile back on my face. I see Canterbury University economist Eric Crampton politely disagrees with my post on the failure to ban incandescent light bulbs. I’d like to comment on a couple of the points he raises. The first concerns the non-priced carbon embodied in the production and distribution of fluorescent and LED bulbs, and the possibility that it may be so large as to negate the advantages of lower carbon emissions during the lifetime of the bulbs. Crampton admitted he had no clue, but assumed that the more complex efficient bulbs would have a higher carbon footprint in their manufacture than the incandescents. However, he allowed that the longer life of the efficient bulbs probably gave them the overall advantage. I had no clue either, though I’m familiar with the need to take embedded carbon into account when making comparisons and guess I assumed that was not something that had been overlooked in the advocacy of CFLs and LEDs. However I had a look to see what I could find, and came across this assessment of CFLs from a writer initially inclined to be sceptical about them, and this report on LEDs. It doesn’t look to be an issue.